How much does breast cancer treatment cost in the United States? Providers may tell you that it depends on your insurance, your doctor and the type of medications you receive. But a recent study published in the journal Cancer found that the cost of cancer care in this country varies widely—for no apparent reason—and the confusion could be costing patients thousands of dollars in unnecessary expenses, NBC News reports. For the study, a team of researchers at the University of Texas’s MD Anderson Cancer Center reviewed insurance claims filed by more than 14,000 breast cancer patients in the United States between 2008 and 2012. Findings showed that expenses across a single class of breast cancer medications varied by as much as $46,000. 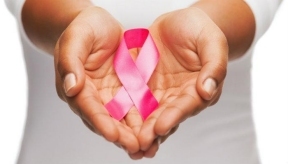 Scientists also noted that out-of-pocket costs for breast cancer care fluctuated tremendously. Medical bills averaged about $3,000 per person after insurance and soared to $10,000 for patients with lower-tier plans. Unsurprisingly, people with so-called catastrophic health insurance plans—those that charge low premiums but don’t reimburse for much when serious health issues do occur—paid the most of anyone in the study group. Researchers also noticed that expenditures for cancer care grew two to three times faster than any other health care cost in the United States. (Costs increased from $72 billion in 2004 to $125 billion in 2010 and are projected to reach $158 billion by 2020.) One cancer survivor who is also an advocate for Susan G. Komen for the Cure, the well-known breast cancer charity, was recently hit with a $200,000 bill for her cancer treatment. U.S. hospitals also routinely inflate the prices for a wide array of other health issues, especially those that require MRI, CT or brain scans.